Hard to believe it’s been 22 years since humanity was graced with this masterpiece. 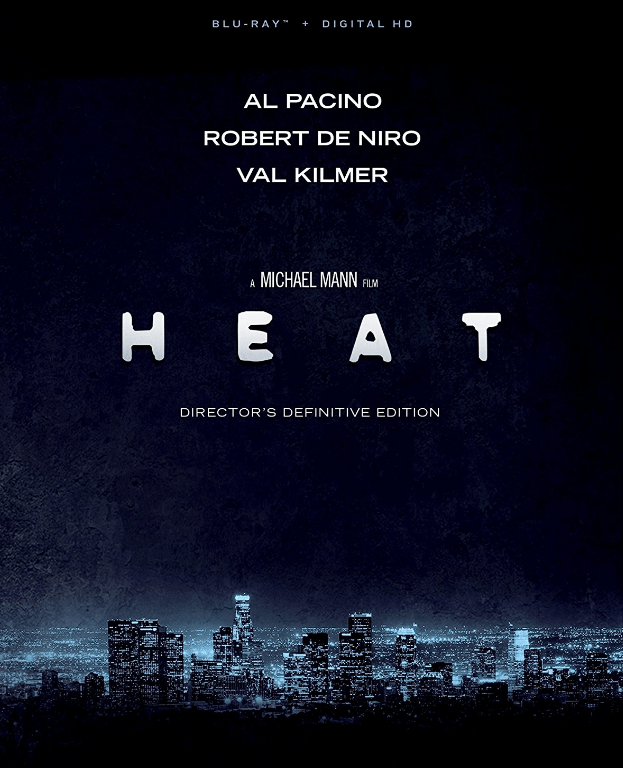 1995’s Heat was actually film maker Michael Mann’s second attempt at this story loosely based on the interactions between a Chicago cop and career criminal. The first draft of the film was a made for TV movie called LA Takedown released in 1989; Mann was no stranger to television as the executive producer of Miami Vice. Heat’s greatness comes not from fantastical special effects but from a depth of character development missing in most movies today. Each character appears in the film for a reason and all are given back stories and developmental fullness often lacking in the action genre of today. Focusing on character development over action and effects keeps Heat from aging as many “action” movies do. Through the years there have been slight variations between the home viewing edit of the film and the original theatrical cut. A line cut here, a camera angle change there; but this new edition has been given the “Definitive” title. Michael Mann’s quintessential Los Angeles Crime Drama receives a full ground up 4k restoration and remastering. Included in this Blu-Ray edition are 11 deleted scenes, a retelling of the real life exploits of Chicago criminal McCauley and the real police office Chuck Adamson’s pursuit, and a recording of the 20 year anniversary filmmaker panel presented at the 2015 Toronto Film Festival. The Heat Definitive Director’s Edition is set to release on May 9, 2017; I’ve pre-ordered my copy, you should get yours too.